December 7, 2017: I'm back from Dublin where I had the pleasure to run an Animation version of my 3-day Advanced Development Workshop, for an audience of experienced writers, directors, story editors and producers working with companies such as Cartoon Saloon, Boulder Media, Brown Bag Films, Moetion Films, Hyper Pictures, Stoney Road Filmsm, Tailored Films and SRF, as well as freelancers. I love animation, so it was a privilege to have the opportunity to design this event for Screen Training Ireland and spend three intense days with these talented professionals. 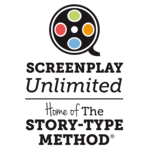 The workshop explores how we can use the Story-Type Method® to develop animation projects, using animation clips, case studies and examples. We discussed Inside Out, Despicable Me, Tower, Bolt, Toy Story, Song of the Sea, Finding Nemo, My Life as a Courgette, Kubo and the Two Strings and many others during this first edition (please click the picture below for more details). Many thanks to Grainne Bennett and Teresa McGrane for their kind invitation and for making this possible, to Sorcha Scully for all the logistical help and for taking pictures of the event, and of course to all the participants for their challenging questions and limitless enthusiasm! Their constructive feedback and suggestions will also be extremely useful when it comes to polishing the next edition. 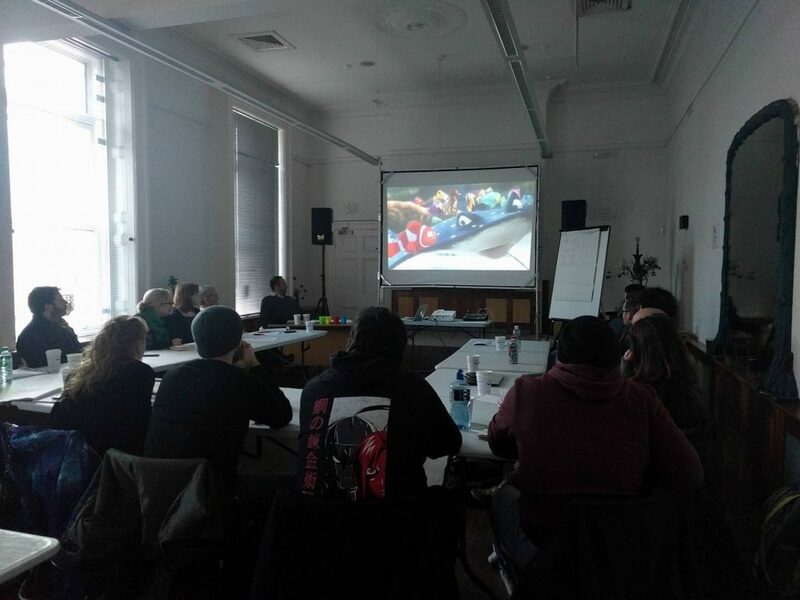 ...but we also had fun, here watching one of the fifty animation clips screened during the workshop. 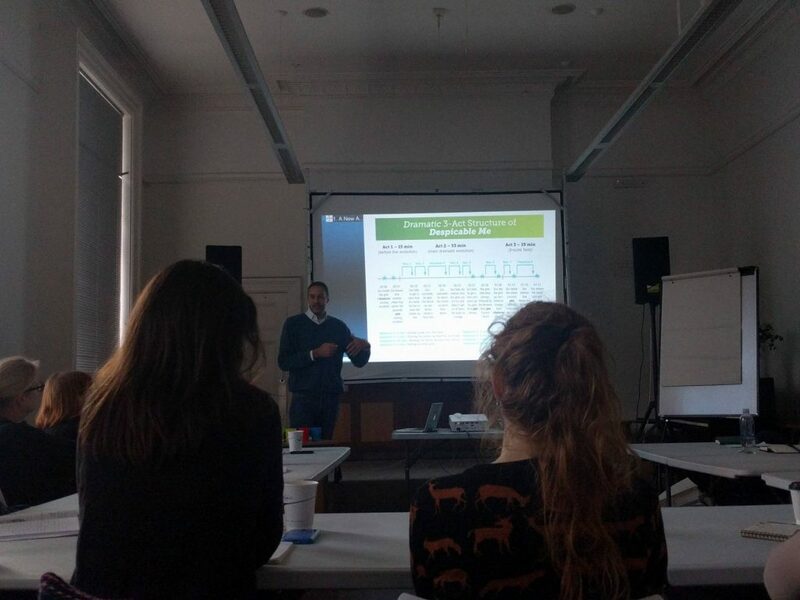 "Plenty of good, useful info, well-communicated, easy to digest"
"Extremely useful three days. Very well structured course - very informative"
"Thanks for the brilliant course. I learned loads and it was great to meet all the participants! What a great 3 days!" "Packed with information without being too dry or technical"
"The course exceeded my expectations. Fantastic!" If you've attended this workshop, make sure you register and let us know by the 10th of December, so that we can upgrade your account and grant you access to the online documentation. If you are interested in attending one of our workshops & courses, ask your studio, production company, regional or national funding body to get in touch. 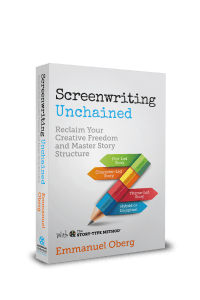 This animation workshop will also lead to a new volume in the Story-Type Method series, in addition to the volumes on thriller and comedy writing scheduled for publication in 2018-2019, so watch this space! Please register if you'd like to receive the latest news and be told about upcoming courses & publications on the Story-Type Method.